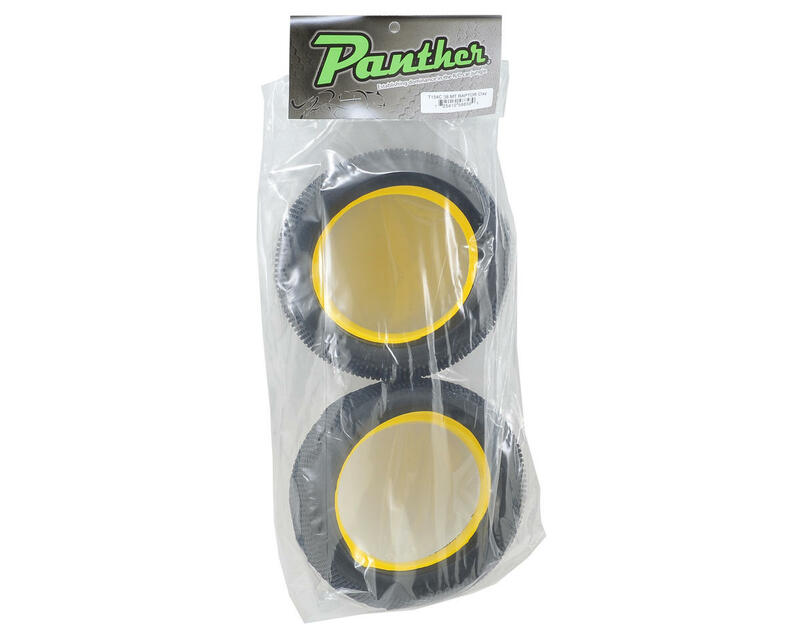 This is a set of two Panther 38 Series Raptor Monster Truck Tires. 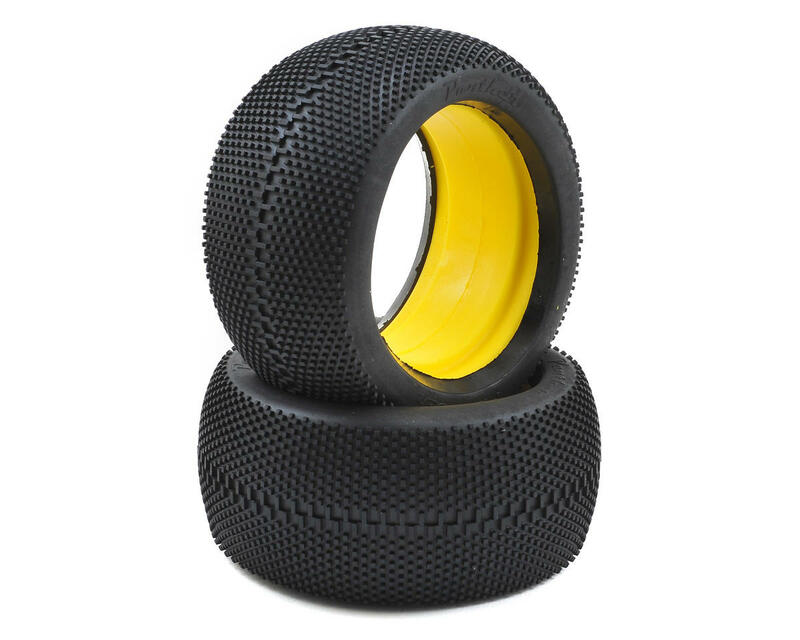 These tires are ideal for hard packed tracks with a light dust. They fit Team Losi LPR wheels, and other 38 series wheels such as the Pro Line LPR wheels, and work great for both electric and nitro trucks. The drier the track, the harder the compound of tire you should use (ie: soft when moist, med-soft when dry), and "Clay" compound is ideal for colder weather and or hard packed tracks.